PUMA Ocean Racing powered by BERG (Ken Read/USA) tonight leads the fleet into the Doldrums for the fourth and final time during the Volvo Ocean Race 2011-12 having crossed the Equator earlier today. After failing on Leg 1 to supply King Neptune with the correct libations, something to which the crew attribute their subsequent dismasting, this time they were careful to correct the error of their ways and offered the King a drop of rum to keep them safe in the northern hemisphere. 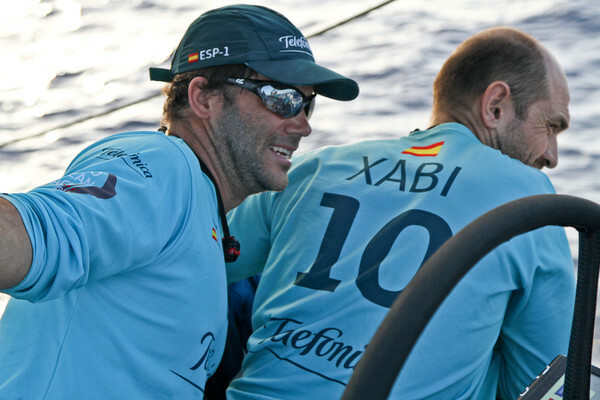 At 1900 GMT, the Americans had a buffer of 26 nautical miles (nm) over CAMPER with Emirates Team New Zealand (Chris Nicholson/AUS) who had gained 11 nm, overtaking Telefónica (Iker Martínez/ESP) and moving into second place by just 0.8 of a mile, as the trio raced up the north east coast of Brazil, 200 nm offshore. So far, the light airs Doldrums zone, which stretches about 200 nm, has been well behaved, although a lot thunderstorm activity is on the cards for tonight. CAMPER co-skipper Stu Bannatyne believes that being this far west in the Atlantic, the Doldrums crossing will be a lot kinder. “Fingers crossed it stays as nice as it is right now – we have about 15 knots of wind and are beam reaching and all going nicely,” he said today. He added that a good passage through will be about managing the clouds and making sure you are not off course by more than five or 10 degrees, with the right sails up at the right time. 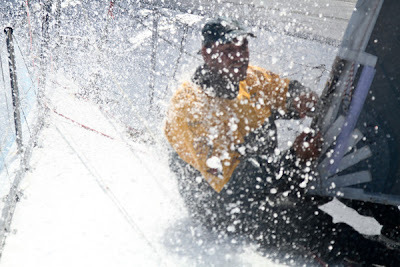 According to Ian Walker, skipper of fourth-placed Abu Dhabi Ocean Racing, relative to the Doldrums we have seen in the race so far, it looks reasonable inactive. 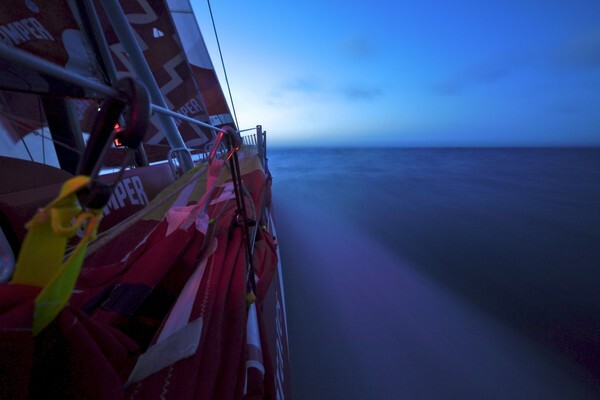 While Telefónica and CAMPER continue to make inroads into PUMA’s 26 nm lead, a distance that can be swallowed up in an instant by misjudging one rogue cloud, both Abu Dhabi Ocean Racing and Groupama (Franck Cammas/FRA) have been leaking miles. 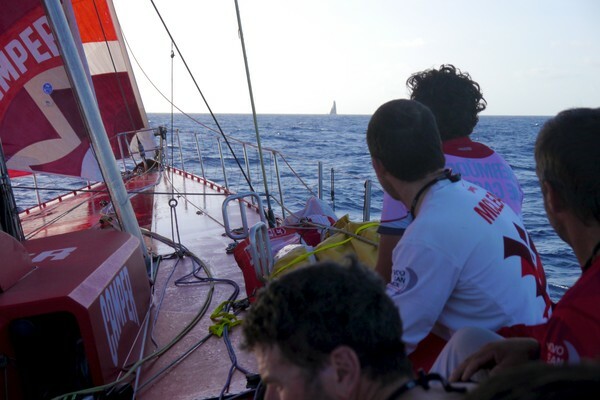 At 1900 GMT tonight, Abu Dhabi was more than 110 nm miles adrift, while Groupama struggled 151 nm astern of PUMA. The poor performance of Groupama is something this crack crew are simply not used to. “It doesn’t feel good to be trailing the other boats, it’s a completely new feeling,” said helmsman/trimmer Martin Stromberg. “There have been a lot of ups and downs, but at the moment there are a lot of downs,” he said. 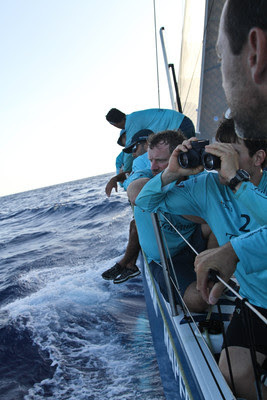 The crew are doing their best with the conditions they have and are hoping to find opportunities later in the leg. Once through the Doldrums, the north east trade winds will come into play, however they are fairly unstable at this time of the year. “It’s not uncommon to have a front push down from Florida and mess things up even more from the Bahamas onwards,” Bannatyne said. 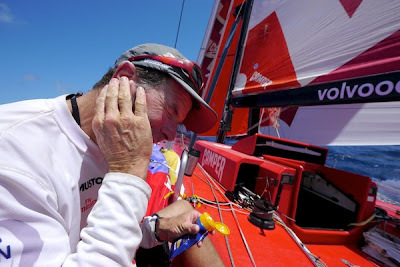 Giving hope to the beleaguered French team, the CAMPER co-skipper recalls finishing this race 10 years ago into Miami when there were “all sorts of rain clouds and thunderstorms”. “There were a lot of place changes in that last 150 miles. It’s still all on the table at this point,” Bannatyne said. 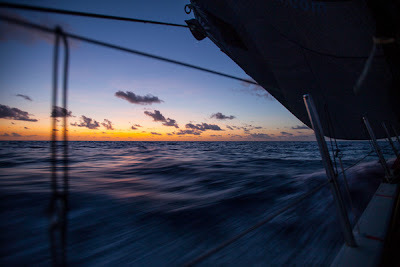 Tonight, the first three boats are ripping up the miles towards Miami, and with a positive current and flat sea, speeds are still in the mid-teens, or in CAMPER’s case, nearly 20 knots. 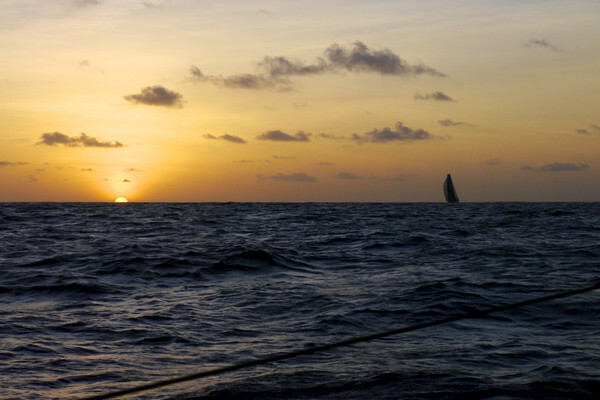 Once through the Doldrums, the next stage of the race, a 1,000 nm drag race to the mid Caribbean, can begin.